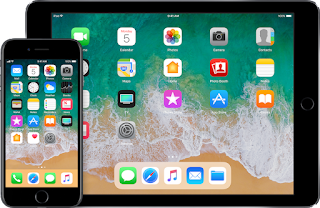 Home / Tech news / What's new in iOS 11? The iPhone is Apple's most popular device, and also its biggest moneymaker by far. But phone sales have dropped. 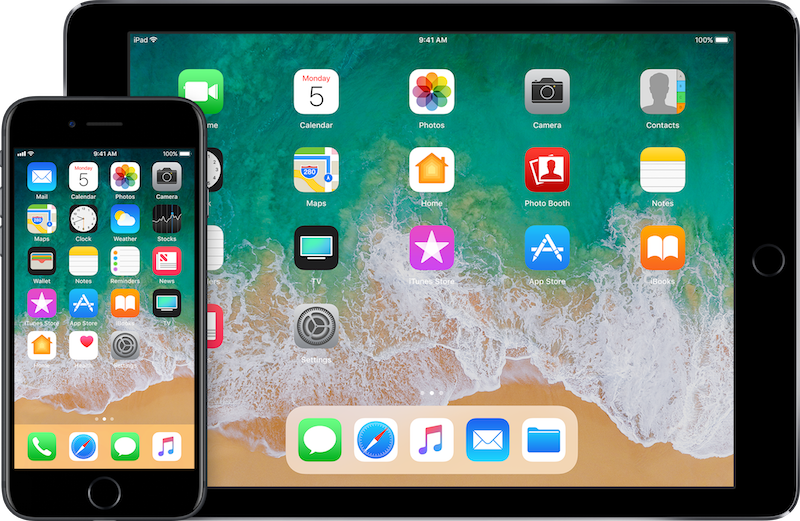 iOS 11 could help lure buyers by reinvigorating the software innards behind the next iPhone's hardware shell. When you look at your iPhone or iPad screen, you'll be able to interact with virtual items overlaid in your real world. For instance, you can place items like lamps in your living room, or see Pokemon monsters on the sidewalk at your feet. Why we care: This kind of deep software supports rumors that Apple is going to add a lot more computing power to the iPhone camera. Siri's interface gets a refresh. Results look more like Google's "cards." Siri enhances male and female voice tones. It'll suggest follow-up questions you can ask by tapping on them. Multiple results for a search topic will help reduce error. Siri can now translate languages (English to Chinese, French, German, Italian, Spanish, for starters). It'll suggest topics you'll want to know based on what you're doing, like a news item, respond to a message with your location, or make a calendar appointment based on a reservation you booked using the Safari browser. Siri will learn words from articles you use, and suggest them when you type. Private, for you and your devices only (it won't be web-accessible). Siri will be available for more third-party apps, which means you can ask for a ride, pay a bill and start a workout -- with a voice command. Why we care: Apple's Siri assistant has lagged behind Google's (and even Amazon's Alexa). Prediction and translation help close the gap a little. Video will take up a lot less storage space, thanks to new compression technology. Low-light portraits will take advantage of optical image stabilization and HDR. You can loop a live photo to make a movie (like, of a never-ending bubble blow). Live photos can now be trimmed and edited. You can grab and save a still frame from a Live Photo. New long exposure effect can help you take really great nature shots of moving water and more. Movies captured in "Memories" will now play in Portrait mode, not just landscape. Why we care: The most important change is that you'll be able to save a lot more photos and videos. The lock screen will be able to show all your notifications (if you want). Scroll up to see notifications from the lock screen. You can still swipe to get to widgets on the left and the camera on the right. When you sync to another new device, say your iPhone or iPad, iCloud will automatically sync all your conversations (which also means if you delete it on the iPhone, it'll delete on your laptop and iPad, etc.). iMessages also has an app drawer, to make it easier to find stickers and the like. Why we care: Less clutter. One panel instead of three in iOS 10. You get sliders and toggles you can tap right away. Or dive into more granular controls with 3D Touch (basically, hard-press the screen). Why we care: The three-panel layout was a drag. This should be easier to use by putting the controls we care about in one place, not three. Detailed airport and mall floor plans (you can browse by floor). Watch your speed because speed limits are part of Maps. There's also guidance to tell you which lane you'll need to change into. Why we care: You might not get as lost finding the pretzel stand on your way to the gate. Peer-to-peer payments are right in iMessage. You can make purchases and bank transfers this way. Authenticate the payment with your fingerprint. Suggestions that you pay your friend pop up from within the keyboard... within the iMessage. It'll work for all iOS devices and Apple Watch. Why we care: You can pay your buddy back for dinner without having to sign into a new service. Easy. When you install iOS 11, you'll get an option to turn on Do Not Disturb While Driving mode. It'll chop out notifications and show you... nothing. Because you're driving. Eyes on the road! If you're not actually the one driving, you can tap to turn the mode off and text your heart out. There's an auto-response to let people know you're driving. Some special people will be able to get your attention if notices are urgent. Why we care: Distracted driving is bad news for road safety. This is a step in the right direction. Want to play music in multiple rooms through different speakers? You can now (through an AirPlay 2 protocol). Multiroom audio will also work with third-party apps. You can make playlists public to your friends. Third-party apps, like Shazam, can automatically add songs it identifies to your collection. Why we care: You can set up surround-sound music in your home with speakers you already have. Separate tabs for Apps, Games and Today's featured apps. In-app purchases will also get a featured spot, like to show off a brand-new level or character you can buy. Why we care: If it helps makes new apps easier to find, that's fine by us. But the jury's still out on whether this redesign showcases more apps or fewer. The new app dock has space for more apps and can open them by pulling them up from the dock. A new app-switcher supports drag-and-drop (text, images, multiselect -- you name it). You can flick keys to access punctuation and numbers without having to switch views. A new app, Files, houses all files and folders to help you find everything on your iPad (supports Google Drive, Box, etc., too). Apple Pencil has deep support for iPad. Why we care: The larger iPad screen means people use it differently than they do their phones. These changes can make the iPad easier to use and far more productive. When do you get iOS 11? We expect Apple to reveal next iPhone with iOS 11 this September, assuming the company sticks to its hardware update cycle. Apple's new iPads will ship with iOS 10 at first and then upgrade to iOS 11 in a few months.